Can You Believe It's Been 49 Years Since The Debut Of The NSU TTS? It was in June 1967 that NSU debuted the wonderful NSU TTS, the extra-high-performance version of their sporty rear-engined economy car. 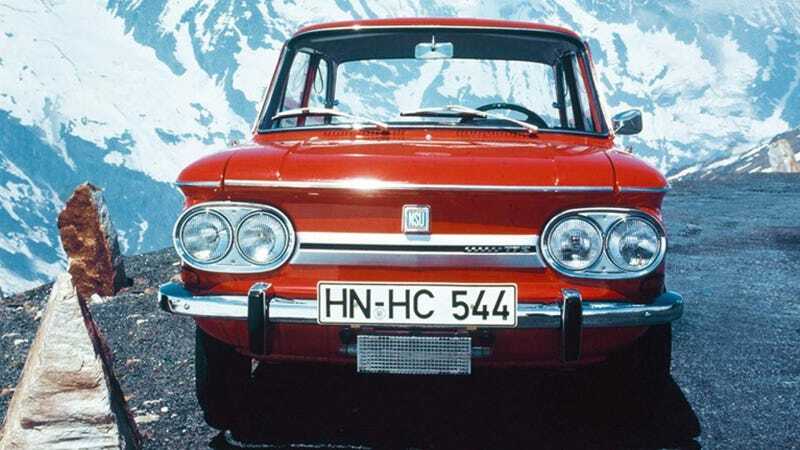 The NSU TT was part of Europe’s 1960s boom of Corvair-lookalike economy cars. The little pre-Audi beast was probably the sportiest of them all, short for maybe the BMW 2002. The TTS’ 996cc straight four made 70 horsepower, as Audi claims, which was good enough for a 0-62 mph sprint in a bristling 12.3 seconds. The TTS won a number of national championships and I want one real bad. On this totally-worth-remembering 49th anniversary, why not seek one out?